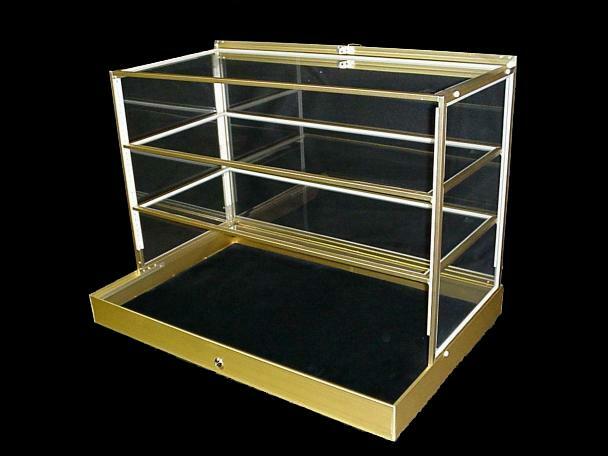 Our Shelf Cases consist of a standard Model #150 showcase and shelf attachment. A shelf case conversion kit (Model SCK1) is available to convert your exisitng model #150 showcase (some drilling is required). Two 15" x 21 " side panels, One interior shelf and top panel. 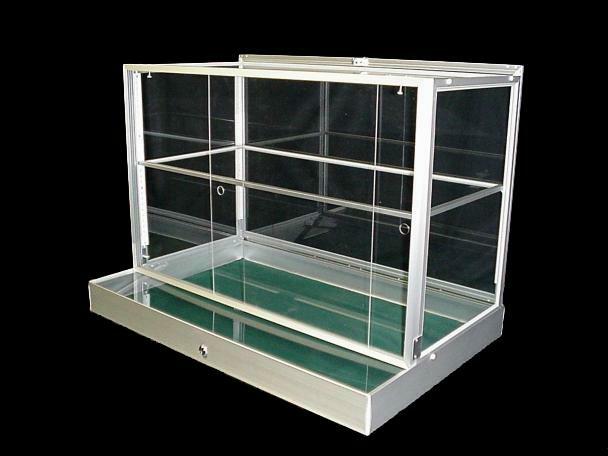 All glass is tempered safety glass. Easily assembled and disassembled with ten thumb screws. two interior adjustable shelves and top panel.